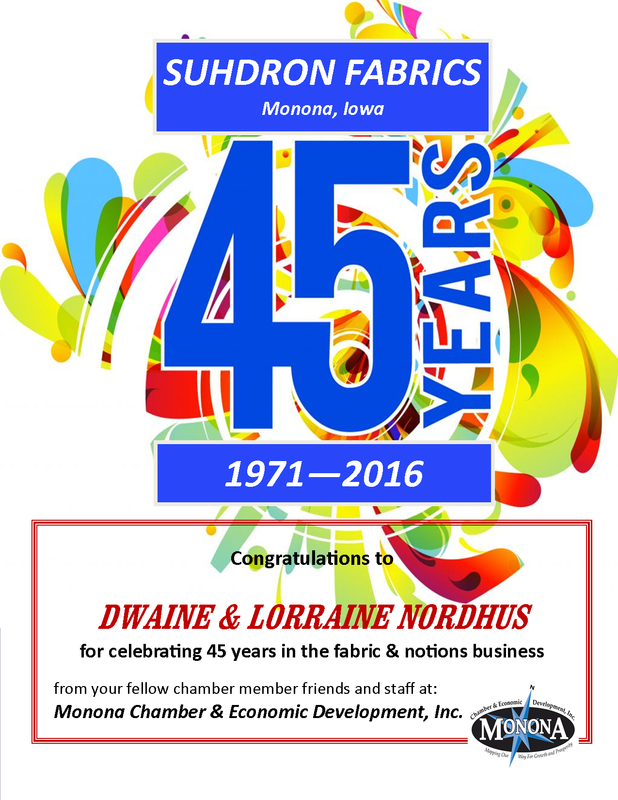 Suhdron Fabrics ("The Mall") - Monona Chamber & Economic Development, Inc.
Lorraine Nordhus established Suhdron Fabrics ("The Mall") in 1971. Lorraine’s shop is just a short 15-minute, 12-mile drive due west of Prairie du Chien, WI continuing west across the mighty Mississippi River from McGregor / Marquette, IA on Highway 18/52. Just an hour's drive north of Dubuque, IA and south of La Crosse, WI, Suhdrons Fabrics welcomes you and looks forward to helping you start-to-finish on all of your quilting, sewing, and crafting projects! 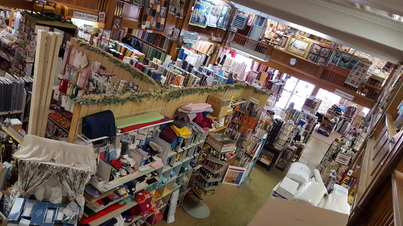 Suhdron's offers the finest in sewing supplies and materials, with thousands of bolts of cotton fabrics, how-to-books, patterns, notions, etc. We also have a wide-array of beautiful, quality fabric remnants from which to choose and save you money! Lorraine, her daughter Deb, and friendly sales team are experts in sewing, quilting, and crafting, and they are all ready to help you with your next project of any size or structure. Suhdron Fabrics has regular customers who travel to our store from near and far, some times as far away as one to two hours. Many of our customers are repeats and referrals who've become our friends over the years. So we hope that you’ll visit us soon to see what the excitement is all about. 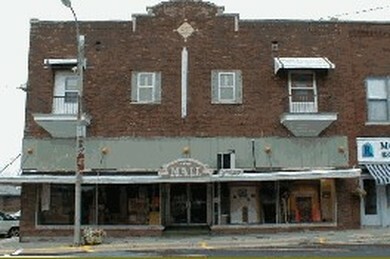 Please come, browse our large three-floor retail shop in historic downtown Monona, the Garden City of Iowa. You’ll be amazed at Suhdron’s inventory, knowledge, and friendly customer service. We love what we do and you will too!